The show and sale was three weeks later due to the “Beast from the East” and the snow which it brought, as a result numbers forward were less than catalogued and purchasers were in short supply. Although averages were slightly down, only two heifers and two bulls were unsold and some purchasers who were in attendance would go away empty handed. 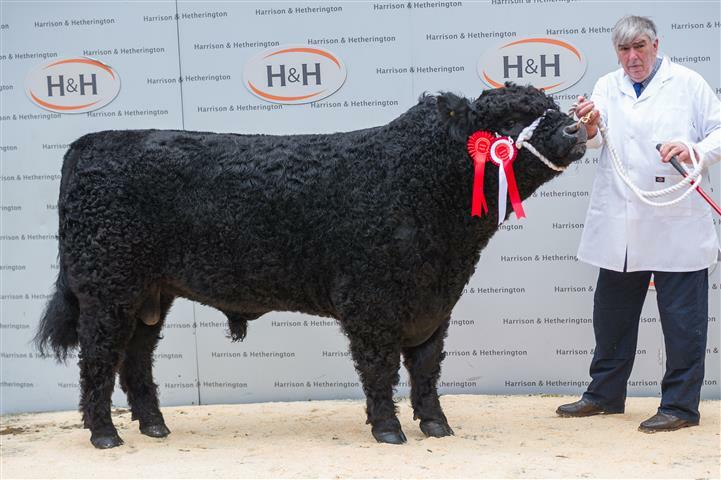 In both sections the champions realised the top prices, the male champion – Troloss Lancelot from Troloss Farms, Elvanfoot, Biggar sold this 2 year old Blackcraig Dec son to Mr TA Byers, Ellen Bank, Boltongate, Wigton for 2100gns. The female champion – Barlaes Katie 76th from Robert McTurk, Barlaes, Dalry, Castle Douglas, is by the homebred sire Barlaes Magic and out of Barlaes Katie 59th . This March 2016 born bulling heifer sold to Troloss Farms for 2600gns. The next top price was 2400gns for Edna 67th of Kilnstown from the Waugh Family, Kilnstown, Bewcastle, this two year old heifer is by Coldplay of Fingland and went home with RP Evans, Dale Cottage Farm, Wessington, Derbyshire to join his 18 head herd which was established in 2016. 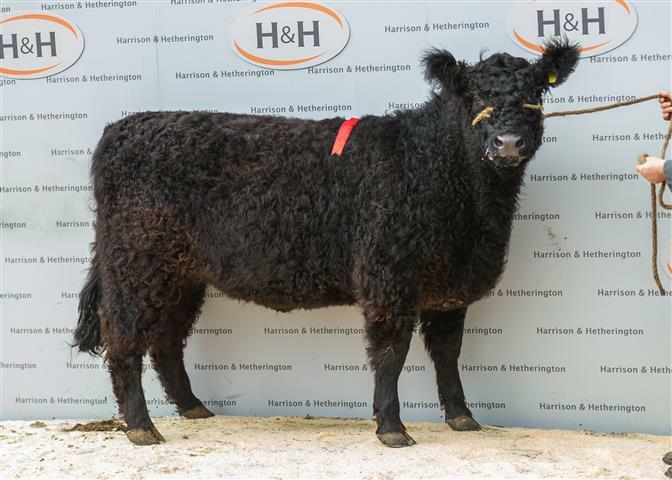 The reserve female – Lady Nancy 662 of Whitehill from Walter Henderson, Whitehill, Lockerbie, this Mountbenger Colonel daughter was sold in calf to Titan of Whitehill and sold for 1020gns to R Beattie, 109 Glenpark Road, Omagh.